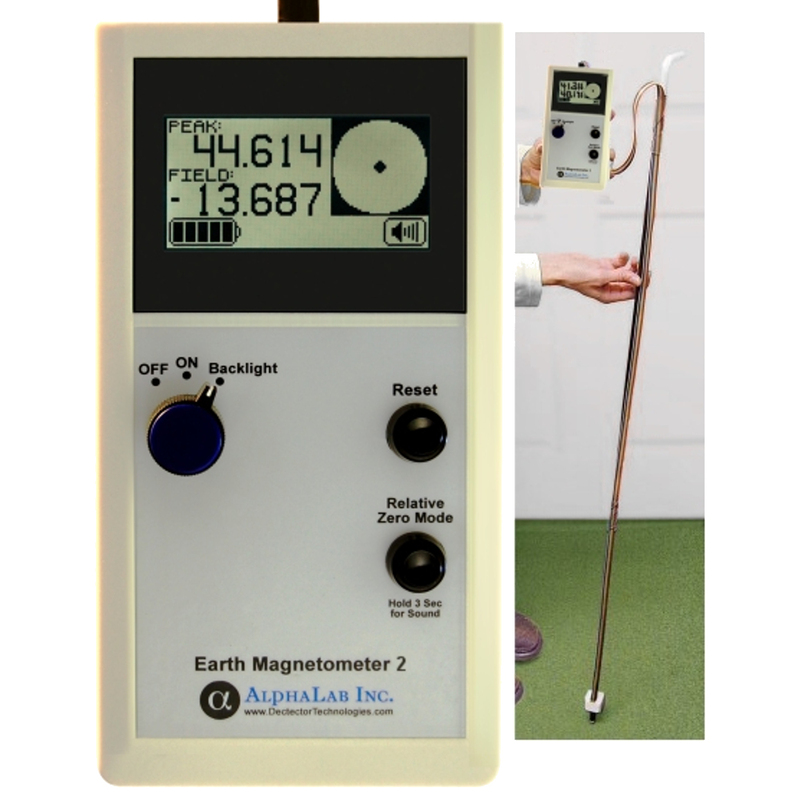 Earth Magnetometer - AlphaLab, Inc.
A relative zero mode subtracts the background field from all subsequent readings so there is only a 1- 2- or 3- digit number to watch. Backlit display can be turned on. Lightweight with long battery life (see specifications below). This is a vector magnetometer so the direction of the field (as well as strength) can be determined (but see full description; this feature requires a longer time per measurement). 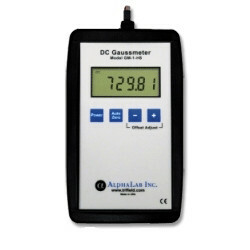 Determines both the location and depth of a buried target of magnetic material. Measures inside DC Solenoids (probe is bent into “L” shape to measure this). Can in some cases locate voids or caverns in a given stratum if at least a trace of magnetic mineral is normally present. 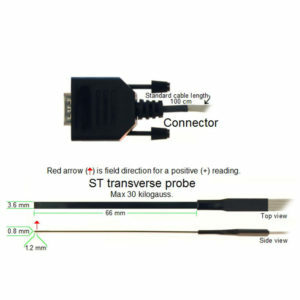 The ST Transverse Probe is an extra thin probe for use with the Gaussmeter Model GM2, that is good for measuring gap configurations. 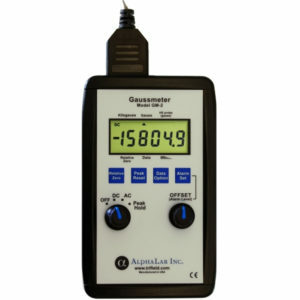 Laboratory gaussmeter that reads AC/DC magnetic fields, true peak field, has an alarm and optional USB datalogging. Maximum range is 30,000 gauss.